Michiel de Lange (1976) is an Assistant Professor in New Media Studies, Department of Media and Culture Studies (MCW), Utrecht University; co-founder of The Mobile City, a platform for the study of new media and the city. He researches (mobile) media and urban culture, play and identity. In 2010 Michiel finished his PhD at the Erasmus University of Rotterdam (Faculty of Philosophy), with a dissertation called Moving Circles mobile media and playful identities (2010). It is about the way mobile media technologies shape the construction of personal and cultural identities, with a particular focus on the urban context. The research was part of a larger project called Playful Identities. Michiel studied Cultural Anthropology and Sociology of non-western societies at the University of Amsterdam. He wrote a master’s thesis about the rise of the internet in Indonesia called Dunia Digit@l: Internet and Modernity in Indonesia 2000 (2001, in Dutch). With Martijn de Waal, Michiel founded The Mobile City, an organization with a research-based approach to how digital media technologies shape urban culture and urban design. Between 2006 – 2007 Michiel collaborated in a locative media art and science project, which took place in Nigeria (www.nomadicmilk.net). Between 2001 – 2005 Michiel worked for Knowledgeland, a Dutch think-tank that aims to strengthen the knowledge-based society (www.knowledgeland.org). He also worked for Cybersoek, a computer neighborhood center in Amsterdam, teaching people of different ages and backgrounds how to use digital media (www.cybersoek.nl). 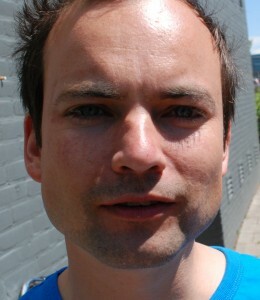 Michiel is a research member of the Center for the Study of Digital Games and Play (GAP) in Utrecht. Between 2011-2016 he was an advisor e-culture for the Mediafonds. In addition to blogging for The Mobile City, Michiel keeps a personal weblog here (http://blog.bijt.org). I just found you through Andre Lemos twitter and I’m glad of this! I’m a brazilian that just started to research about mobile world. I started with the use of mobile in corporative education and with a mobile art project. After those experiences, I’m sure that now, the next step, is doing a master programme in Europe (since Brazil’s masters courses are to theorical). Can you suggest me a master course to do that you think it’s interesting? I’ve already added you on Twitter. ik probeer in contact met je te komen voor eventuele deelname aan een workshop die ik organiseer. Het playful identities aspct is volgens mij gelieerd aan het thema van de workshop: wachttijd en wachtbeleving. Kun je en wil je hier aan deel nemen? 1 december Utrecht, 13 uur. Geen voorbereidign vereist wel inspirerende middag met 20 profesisonals uit zeer verschillende branches , maar allen met wachten en beleving bezig.